Happy Motivational Monday! I hope everyone had a great weekend. I was at my sister's house in Illinois all weekend, and it was fun to visit. I hadn't been there since I ran the Chicago Marathon in 2013 (which actually feels like it was very recently, and not over two whole years ago). I'm used to weighing myself daily at home, so it felt weird not being able to check in while at Jeanie's house. I was just hoping that my weight wasn't climbing up! I feel like I made good choices, though, so hopefully the scale will be kind for my "official" weigh in on Thursday. Here are a few motivational stories to kick off your Monday... enjoy! 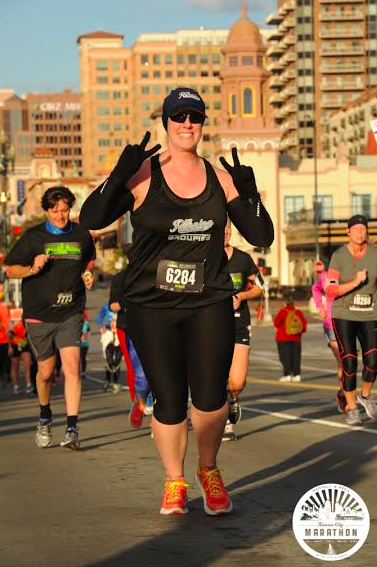 Renee ran her sixth half-marathon last weekend, and set a personal record by over 10 minutes! It was her best half-marathon to date, and during the race, she even decided that she is ready to tackle a full marathon next year at the same race. (You know you're having a great race when you're already planning future races while you're running!) Renee blogs at With Brave Wings She Runs. Mia flew out from Connecticut to run the Detroit International Half-Marathon! She finished with a personal best of 3:14, shaving 4 minutes off of her previous best time. She said it was the best race she's ever run, and she loved the vibe in Detroit. She's already thinking about doing the full marathon there next year! Mia has actually lost 112 pounds over the last three years, and started running a year and a half ago. In February, she's going to be running the Florida Keys Ragnar Relay with a couple of my From Fat to Finish Line teammates, Rik and Carly! Congrats to you all! Jared you are doing so well! Keep it up! 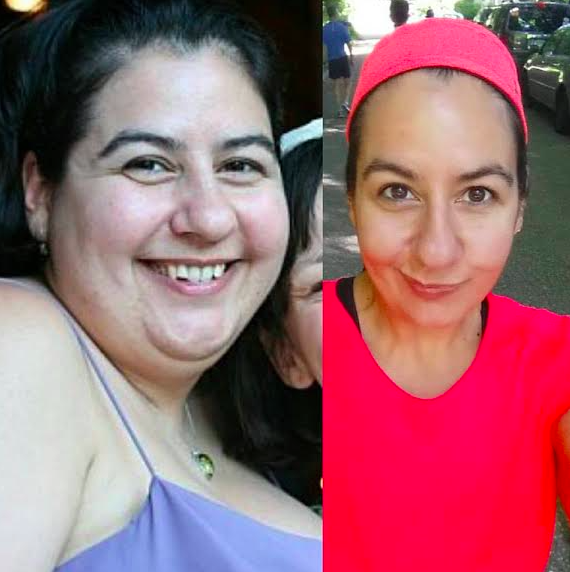 Congrats to all on both weight loss and exercise achievements....You are motivating me just like this post is all about!!! Thank you for the update on Jared! I had wondered how he was doing. Thank you for doing a motivational Monday post!! So inspiring! Congratulations to each of you for smashing your goals!! Wow, I have to hand it to Altra! That's really cool of them to help Jared out. Do you have a referral code for their site? I'm tempted to get a pair and I'd love to say you sent me! Yes, Altra is a fantastic company! I met the founder of the company at a Runner's World event, and he was SO nice and helpful. I wish I had had a referral code for their site, but unfortunately, I don't. Thank you for thinking of me, though! 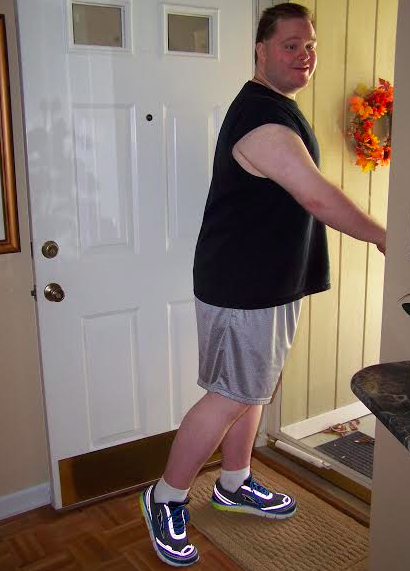 Yay to Jared's new shoes!!! And congrats to all accomplishments! !